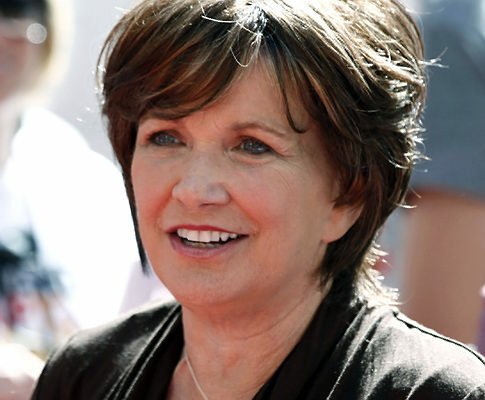 *After a six-year battle with breast cancer, Elizabeth Edwards has died at age 61, according to reports. Earlier this week it was announced that Edwards, who had been admitted and then released from the hospital over Thanksgiving, had stopped all cancer treatment. Edwards who is estranged from her husband and one-time presidential hopeful John Edwards, was first diagnosed with breast cancer in 2004. A close friend of the Edwards family told ABC News that John Edwards was among those who were at her side during her final days. The friend described the environment at the house as warm and peaceful. The mood was sad, but also full of warm feelings too. On her Facebook page, Edwards wrote a moving message that hinted at her pending death. “The days of our lives, for all of us, are numbered. We know that. And, yes, there are certainly times when we aren’t able to muster as much strength and patience as we would like. It’s called being human,” wrote Edwards. Born Mary Elizabeth Anania, Elizabeth Edwards grew up in Virginia as the daughter of a navy pilot. She initially planned to teach literature, but ultimately pursued a law degree at the University of North Carolina, where she met John. The couple had four children. Their oldest, Wade, was killed in an automobile accident in 1996 at the age of 16. She has been grace under pressure. God bless us all. These last few years were awfully turbulent and hurtful I’m sure. Rest in peace, Elizabeth. Rest in Peace Elizabeth. God bless your soul. So sorry to hear of her passing. And if John was there in her final days, then they were not estranged. I had the opportunity to met her a couple of years ago. She was a very nice lady. RIP Elizabeth and my condolences to the family especially her kids. I agree with you all. She went through some heavy storms. From what I have sen in her interviews Elizabeth seemed like a decent person who had Christ in her life. I am sorry to hear of her passing, she is with the Lord now. May the Lord continue to bless her children and John also. I agree, I told my sister this morning with all that craziness she had to go through with finding out about the outside child and helping John campaign and etc really stressed her out and that just made her sickness worse. Condolences to the family. How long will it take for her husband to marry his mistress? It was said early on he could hardly wait to marry her. Seems like a cold hearted basterd in disguise helping the poor. And Elizabeth wanting him at her deathbed for the separated family to be together is heartbreaking too. Does this man has any kind of soul to run home to his mistress afterward? Elizabeth’s grace, humility, strength and love to the very end despite her husband’s extramarital affair(s)? while dying of cancer demonstrates I will always love you. I imagine he told her he loves her too. Can’t really love two at one time? Right?